A cheerful, bouncy jazz tune with a 1950s Louis Armstrong feel. Featuring Piano, Bass, Guitar and Trumpet. Busy neo-classical piano piece with a jazzy edge to it. Ideal for images of arts, culture, busy city life or a classy piano bar. Dreamy, mellow guitar with a latin influence that is later joined by a cascading piano. The track gets more energetic as it continues, like a flowing emotional rollercoaster. Hesitant, cool, laid-back blue jazz tune. Warm, sophisticated and classy. With piano and trumpet leading. Starting with a laid-back piano but with a subtle energy. Then progessing with smooth trumpet and busily strummed acoustic guitar to form an appealing contrast. Confident and groovy jazz for cool cats and original hipsters. Urban, energetic and good fun, this track brings together warm piano and a bright trumpet. 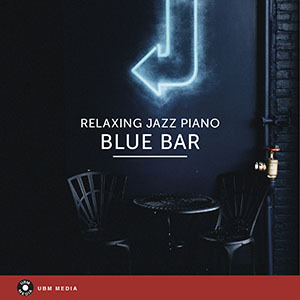 Confident mood driven and energetic jazz piano. Old-school, classy, upmarket. Broken piano chords and dark guitar strumming characterise this moody track. Ideal for arts and culture programs. A quirky, fun, retro piece with piano and trumpet. Excellent for vintage images, nostalgia, circus, zoo, animation and historical black & white scenes. Upbeat easy listening jazz with piano, latin guitar and light female vocal parts. Guitar solo part starts around 2:40, track ends with trumpet solo. Ideal mood for images of holidays, and mild summer evenings. Contemporary classical piano piece. Minimal, calm, slightly melancholic and impressionistic. Cool piano bar jazz. Mischievous, smart, laid-back. One for the road. Sophisticated harmonies and ascending notes create a dense, determined atmosphere in this piece. Unobtrusive yet very moving. Lively jazz piano honky tonk piece. Tongue-in-cheek with a frivolous mood that works very well for historical pictures, zoo, comedy, family programs or as an ironic accompaniment. Playful, curious mood. Easy-listening solo piano piece, played in a very relaxed manner. Short, repetetive, dominant piano theme. Decisive and choppy..
Neo-classical, minimalist piece. Intellectual, moving, sophisticated. Steadily flowing, fast tempo. Ideal for high-quality documentaries on culture, arts or society..
Short romantic piece with a reflective contemplative undertone. A stirring bass dominated piece, played with a steady pulse. Disturbing, dark, dramatic, sinister. But also with sad, and mourning elements.